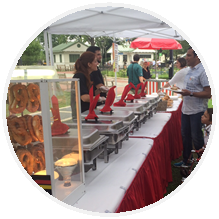 J-Dogs offers catering and entertainment services for parties at Franklin Square on a regular basis. 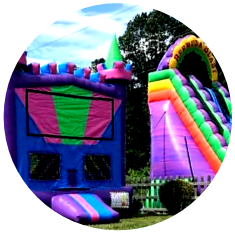 First Birthdays, Graduations, and Corporate Events are some we have done recently. Rastelli Kids Complex has large open areas to host events indoor and outdoor! Big League Dreams has plenty of space for activities indoor and out! 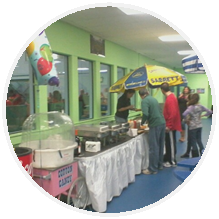 J-Dogs can do a full on-site cooking/catering set up and add to the fun! 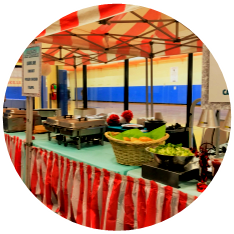 The Racquet Club has large open indoor spaces that fit Inflatables, Carnival Tents, Catering and More with plenty of room left over for Sports and Activities. JCC Camps at Medford has plenty of indoor and outdoor spaces for events of all types. 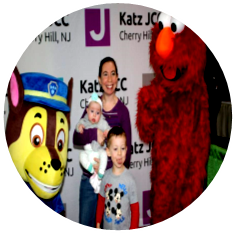 Katz JCC has multiple events per year for the public, camps, and their organization. They have plenty of indoor and outdoor space for events and a pool!